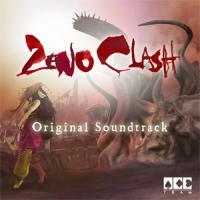 We'd like to announce that ACE Team has produced the Zeno Clash OST. Zeno Clash's music greatly contributed to create a game with unprecedented style, so we thought it was a great idea to release a music compilation that features re-edited & remastered tracks of the original score that was developed by our talented composer Patricio Meneses. We hope everyone enjoys the new content. Let us know what you think of the music! this game was awesome. please make another one.